With the summer winding down and students preparing to head back to campus this fall, a new study highlights the evolving threats Jewish and pro-Israel students will face in the upcoming school year. According to a new comprehensive study by the AMCHA Initiative, a non-partisan organization dedicated to combating antisemitism at American colleges and universities, Israel-related incidents have been more likely to contribute to a hostile environment for Jewish students than incidents of classic antisemitism. 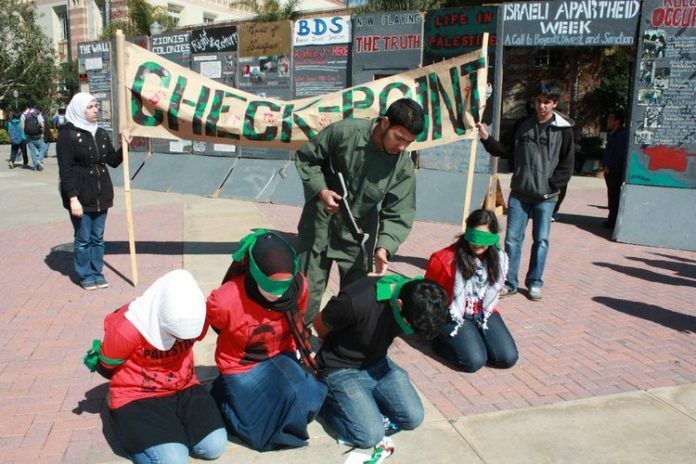 The report, which analyzed antisemitic incidents from 2015 to the first half of 2018, revealed that Israel-related incidents are becoming significantly more flagrant, with an emergent shift from boycotting Israel to boycotting actual students and student groups. Despite most incidents corresponding to classic antisemitism – which have included genocidal expression – where overall there is less intent to harm, 94 percent of anti-Israel incidents have occurred with an intent to harm, the report found. Additionally, Israel-related incidents with intent to harm were almost seven times more likely to have numerous perpetrators and seven times more likely to be affiliated with groups compared to classic incidents. However, anti-Israel incidents include Boycott, Divestment, and Sanctions (BDS) resolutions, in addition to attempts to ostracize and exclude pro-Israel students and staff. Such incidents increased from three in 2015 to 18 in just the first half of 2018. “While classic antisemitism makes up the vast majority of incidents on campus, it is the much more brazen Israel-related incidents, often committed by multiple perpetrators who band together in groups, that are causing the most harm to Jewish students and creating a much more hostile environment,” Rossman-Benjamin said. “Despite the fact that acts of Israel-related antisemitism appear to be the larger contributor to a hostile environment for Jewish students, university administrators have generally been far less likely to adequately address these Israel-related incidents than they have acts of classic antisemitism,” the report’s researchers said in a statement. As such, there is currently a bipartisan bill, the Antisemitism Awareness Act, pending in Congress. If enacted, it would require the Department of Education to adopt the State Department’s definition of antisemitism in determining whether certain incidents potentially violate anti-discrimination laws like Title VI of the 1964 Civil Rights Act.